To eat some winter day. Till the last ones fall. 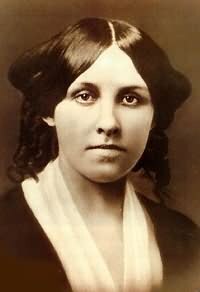 Louisa May Alcott was one of four daughters born to Bronson and May Alcott. Poverty was their constant companion; Mr. Alcott spent most of his life teaching and philosophizing and Louisa worked from an early age to help with expenses. She worked as a governess, a seamstress, a laundress, and a nurse but, at heart, she was always a writer. Her work ranged from gentle children's stories to torrid romances; her first book, published at the age of 23, was a collection of stories for Ralph Waldo Emerson’s daughter, who was a friend and neighbor. (Other neighbors in Concord, Massachusetts, included Henry David Thoreau and Nathaniel Hawthorne.) Louisa's best known work is Little Women, which has never been out of print since it was first published in 1868; it has been translated into more than fifty languages.